Simplenote is powered by Automattic, which also runs WordPress.com — so as you can imagine, we love blogging. I’ve written for a few different sites, some using WordPress and some not. 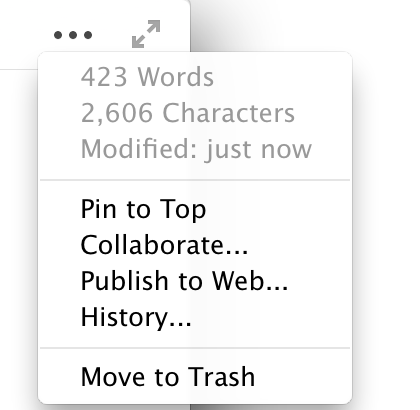 No matter where I publish my posts, I have a great, consistent writing experience by drafting in Simplenote first. I use Simplenote from the moment I think of an idea, by opening up a new note and adding a title. Later, I can check those notes and start writing more. Because it’s in Simplenote and synced to all my devices, I can do this from anywhere I happen to be! If I think of a great opening line for a post while I’m out having coffee, I can open up Simplenote on my phone and jot that down. That way, it’s always waiting for me when I get back to my computer and ready to flesh things out. If the site will take formatting and reproduce it, like the new WordPress Editor, I turn on Markdown to write the blog post. When I’m done, I copy the full text of the note. Pasting that into the editor preserves all the formatting and splits it into the appropriate blocks. It will do this whether you copy the text from the Edit view showing the Markdown, or from the Preview option displaying the actual formatting. It’s like magic! This saves some time, since I can type the formatting easily in Markdown while I’m taking my notes. It even loads the image from the URL provided in the image Markdown! Add titles to your notes right away so you know where to look later. Use Markdown to bold and italicize text, create headers, and add lists. Focus mode on the desktop apps is a great way to write with less distraction (pictured in the gif above). 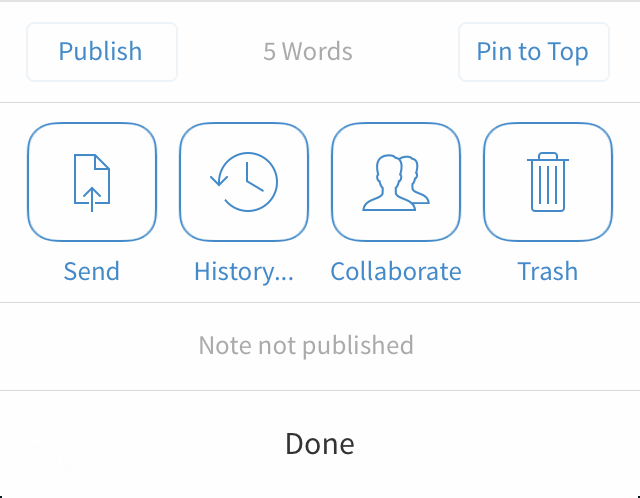 Publish the note from the Simplenote app to share it with a friend or editor first. Do you have any tips for Blogging with Simplenote? 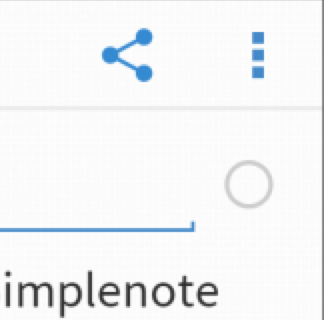 What do you use Simplenote for? Since the beginning of February we’ve released new builds for OSX (1.0.6), iOS (4.0.5), and Android (1.1.2), improving syncing and fixing bugs on our apps. Now your notes will sync even more seamlessly than before, and with fewer performance issues. Add an extra layer of security to your iOS app. 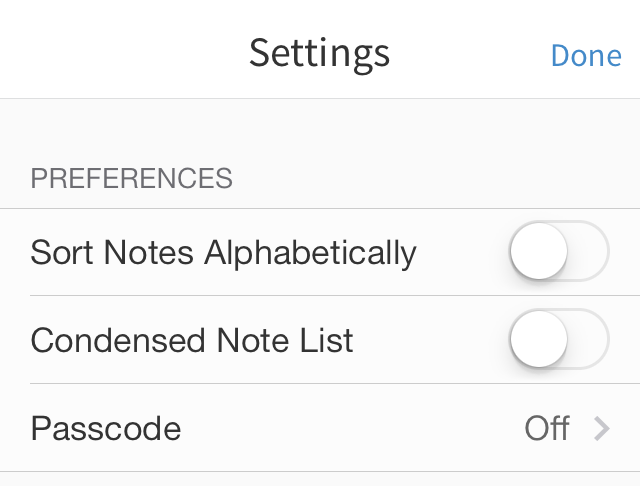 Did you know that you can add a passcode to protect your notes? Go to the app’s settings, click on “Passcode,” and set your 4-digit PIN. Track and restore earlier versions of notes. On the iOS and OSX apps, you can easily go through previous versions of your notes to track any changes you’ve introduced. You can also restore a note to an earlier version. In both cases, an easy-to-use slider will appear, letting you navigate through your note’s different versions. Pin your most important notes to the top of the list. If you have a long list of notes, or when a time-sensitive task is approaching, highlight the notes that matter most by pinning them to the top — they’ll be impossible to ignore. In Android, while viewing the note, tap the circle in the upper right to pin. Stay tuned for more Simplenote news in the coming weeks!